The solution is simple to change or ad the language for the keyboard layout in Windows 8.1, the example is also for Windows 10! 1.) Add or remove languages ​​for the keyboard layout in Windows 8 and 8.1! 2.) Information and how to switch between keyboards e.g. input methods!! See also: ► Windows ON-Screen Keyboard ► make keyboard more easier to use on Windows! control.exe /name Microsoft.Language (... see Image-1 Arrow-1). You can do the same, if you use the Windows 8 language settings (Picture 1) via the Windows 7 System Control Panel (See: ... Open Control Panel in Windows 8.1!) And then click on the "Languages​​" Symbol. Now you can install additional Windows 8 keyboard layouts, add or remove existing keyboard layouts. (Image-1) Change or ad the language for the keyboard layout in Windows 8.1? 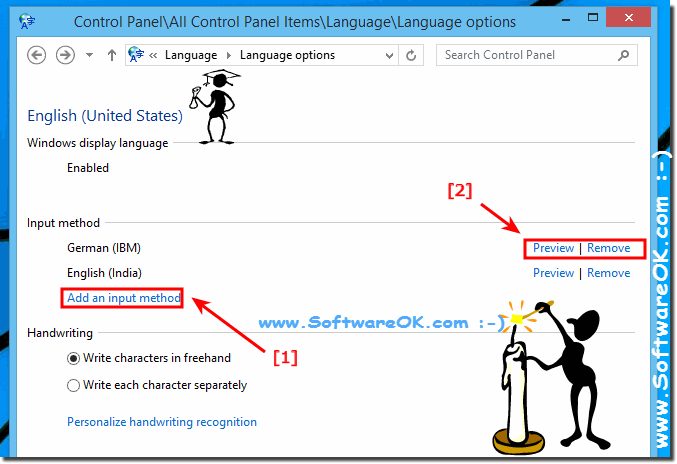 (Image-2) Add new input method or change keyboard layout in Windows 8.1! 2.) Information and how to switch between keyboards e.g. input methods! On a standard keyboard, press the Windows logo key Windows logo key +Spacebar. On a touchscreen, tap or click the touch keyboard icon Taskbar touch keyboard icon on the Windows-8.1 desktop taskbar, tap or click the language abbreviation, and then tap or click the keyboard you want to switch to. Windows-8 - FAQ-171: Change or ad the language for the keyboard layout in Windows 8.1/10? Windows 2008 application dependent keyboard layout? 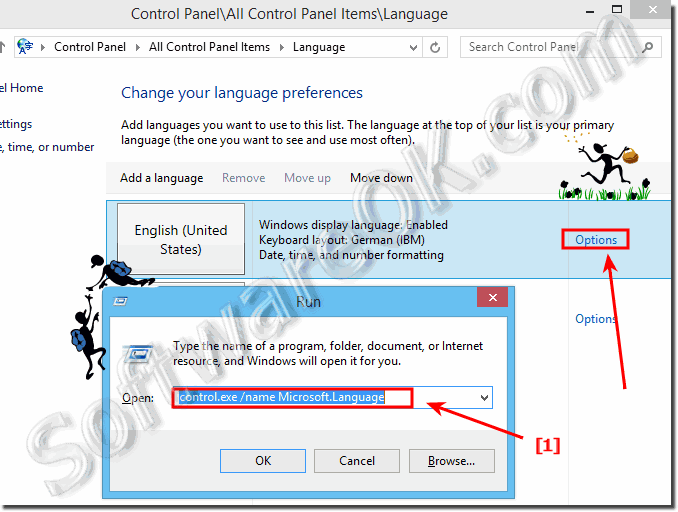 Windows 8.1 Language Change short cut key? How can i remove language advertisement from windows 8 screen? Windows 8.1 users keyboard layout password? Windows 8.1 change keyboard layout shortcut? Ad another keyboard layout windows 8.1? Remote language preferences windows 8.1?